Partners in Sports is the student organization for Sport Management majors and other students at The University of Tennessee who are interested in pursuing careers in the sport or recreation industry. The organization is active within the university and region sports community. The mission of the organization is to create opportunities for tomorrow’s sports leaders through practical experiences and professional development opportunities. Students serving on the Partners in Sports Student Board represent both undergraduate and graduate programs. The 2018-19 board is comprised of Rachel Gunia, Emilee Howard, Tim Kerr, Andrew Porth, Sarah Schwartz, and Sydney Snoddy. Partners in Sports has more than 140 student members from various undergraduate and graduate programs at The University of Tennessee. 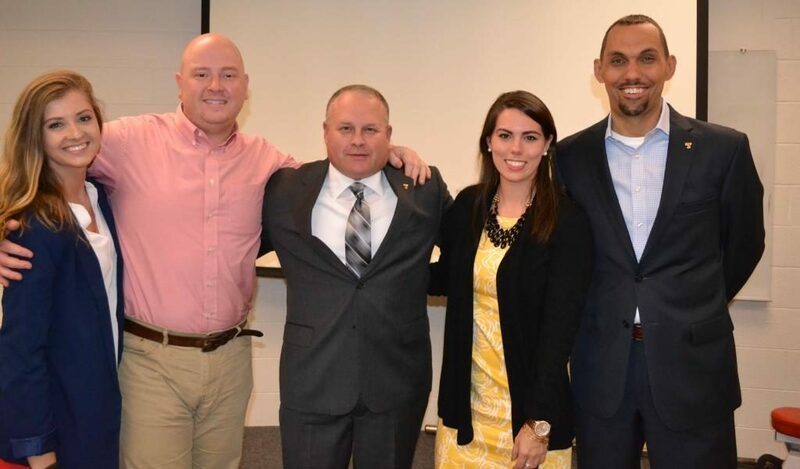 Each year Partners in Sports recognizes students with special awards and scholarships who go above and beyond in sport management and display leadership qualities that will help them succeed both in the academic world and also once they receive their degrees. The organization has awarded nearly $200,000 to students since its inception in 1998. The Partners Student Board and Alumni developed seven guiding principles based on Gen. Robert R. Neyland’s Game Maxims. Work every day to put yourself in position to be successful. Look for opportunities, take advantage of the ones that come your way, and prove your value. Things may not go as planned. Learn from the experience and use it to improve yourself. Protect your personal brand and build personal relationships. Volunteer, intern, and seek opportunities to be involved for this is how you gain experience. Complete every task, no matter how small, to the best of your ability. The small details sometimes matter the most. Work hard but be productive and efficient with your time. Visit the Tennessee Sport Management Facebook page for the latest news about Partners in Sports.